Nikon | News | The Nikon D5200 digital SLR camera receives the "red dot award: communication design 2013"
TOKYO - Nikon Corporation is pleased to announce that the "Graphic" information display adopted for the D5200 DX-format digital SLR camera is the recipient of the "red dot award: communication design 2013", sponsored by Germany's Design Zentrum Nordrhein Westfalen. 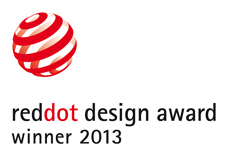 The "red dot award: communication design 2013" is one of the world-renowned "red dot design awards". It is comprised of 21 categories and submissions for this award are judged based on originality & emotional quality, recognition value & social relevance, effective target group reach, interface & aesthetics, design quality, and look & feel. The D5200 was the winner of the Interface Design category. Five other Nikon products, the Nikon D4 FX-format digital SLR camera, the Nikon 1 V2, J3, and S1 advanced cameras with interchangeable lenses, and COOLPIX S01 compact digital camera, have also been awarded the "red dot award: product design 2013". 6,800 products from 43 countries were entered in the "red dot award: communication design 2013" competition. Awards will be presented at the Red Dot Gala ceremony to be held in Berlin Germany, and winners will be exhibited at the "Design on stage" exhibition. See the Red Dot Online website for further information on the "red dot design awards". 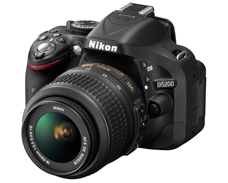 The D5200 is an entry-level digital SLR camera equipped with a new Nikon DX-format CMOS sensor with an effective pixel count of 24.1-million pixels and an image-processing engine equivalent to EXPEED 3, built into the D4 flagship camera. It offers the superior basic performance needed for full-scale photography in a compact and lightweight body. In addition to offering superior image quality and definition with very little noise at high sensitivities, it is equipped with a side-hinged vari-angle monitor that enables flexible shooting from any angle, whether high or low, making even self portraits possible. The new GUI adopted for the camera takes advantage of the increased graphics processing capability of the EXPEED 3 image-processing engine for more intuitive operation. 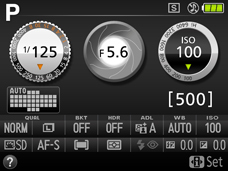 The "Graphic" information display format offers an interface that allows users just advancing from a compact digital camera to an SLR to enjoy learning about camera operation naturally with a design that adopts graphics in the shape of an aperture and the shutter speed dial on film cameras. Information can be displayed in one of two formats, "Graphic" or "Classic", and the background color can be selected from three options.